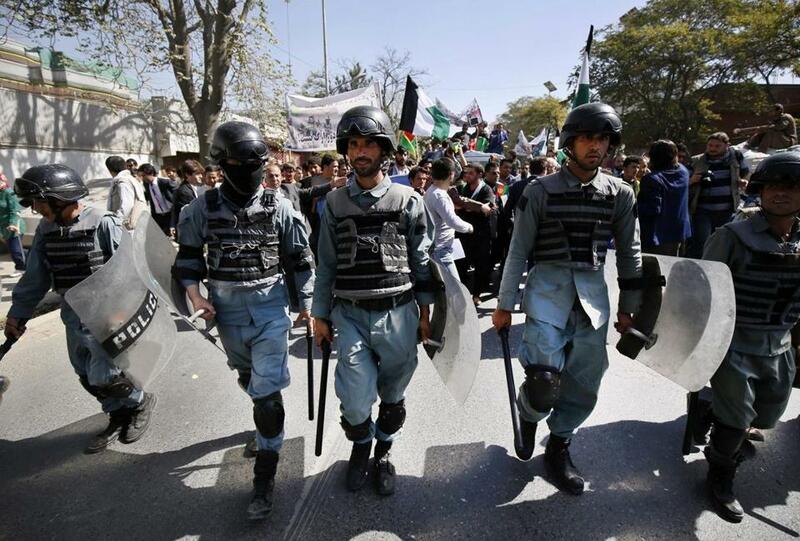 Members of the Afghan security forces walked ahead of an anti-Taliban protest in Kabul on Thursday. The fall of the major Afghan city of Kunduz on Monday pushed the war in Afghanistan back up the US agenda and rightly so. The fact that a force of only several hundred Taliban and allied fighters was able to push out some 7,000 pro-government defenders and seize a major provincial capital for the first time since 2001 is disturbing enough in its implications for the future of Afghanistan. But it also raises a wider question about what the United States has really gained from nearly a decade and a half of expending blood and treasure on state-building efforts abroad. After all, Americans have seen this movie before — and recently. Only last year, a force of just 800 Islamic State fighters took the key Iraqi city of Mosul from under the noses of an Iraqi military force of 30,000. The Iraqi military is awash in modern weaponry and has been the beneficiary of some $25 billion in American aid. But the fall of Mosul proved that there is one critical thing American money cannot buy: the will to fight. Afghanistan is not yet faced with the type of wholesale collapse we have seen over the last year and a half in Iraq. The Taliban may not even be able to hold on to Kunduz City for very long, though they are likely to remain in control of much of the surrounding province. But scratch the surface of recent events — and we need not scratch hard — and it is clear that the US-backed government in Kabul is experiencing a spreading rot very much like that which corrodes the regime in Baghdad. The Taliban takeover of Kunduz is the visible part of an insurgency iceberg that has grown larger, more destructive, and more threatening. In both countries, the United States set out to build military and governmental institutions that would bring stability after the inevitable withdrawal of outside forces. The United States could not keep battling the Taliban or chasing Sunni insurgents around Anbar province forever, and so it needed to foster local proxies who would continue its foreign policy goals long after the American public had tired of the conflicts. In Afghanistan, many other NATO countries also contributed to this effort. Whatever military victories were won by international forces during their time in Iraq and Afghanistan, the only true test of success in these wars is the long-term durability of their pro-Western regimes. But in both countries, these regimes are withering under the insurgent challenge and morphing into something quite unlike what their patrons intended. The fall of Kunduz illustrates the dynamics at play. 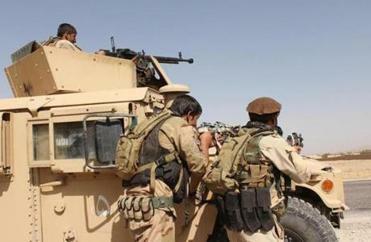 The Taliban have been slowly consolidating their control over the province for years. Their task has been made easier by a corrupt and inefficient local government and abusive security forces that have driven segments of the province’s Pashtun population into the arms of the Taliban. In turn, the province’s problems have been difficult to solve because the central government in Kabul lacks the ability to make its writ run there even after a decade and a half of gobbling international resources to build its military and civil institutions. Infighting in Kabul has made the problem worse. Incredibly, after a year in office, Afghan President Ashraf Ghani still lacks a defense minister. Unable to provide security to Kunduz on its own, Kabul took a trick out of Baghdad’s playbook and turned to local militia and warlords to do the job instead. These fighters may hate the Taliban, but they also have a long history of terrorizing the local population and ultimately turning them against the government. This not only made it easier for the Taliban to operate but also undermined the credibility and morale of the official Afghan security forces, who are supposed to protect the people from abuses. Ultimately, this mishmash of pro-government forces lost its cohesion and wilted in the face of a Taliban force perhaps less than a 10th of its size. As the Afghan war enters its 15th year, Kabul plainly lacks the well-resourced and efficient institutions it needs to secure and govern all of Afghanistan. As the insurgency intensifies and moves to new parts of the country, Kabul will face difficult choices about where to focus its meager resources and which local groups to work with to fill the gaps. Facing the same dilemma, Iraq has turned to Shiite militia with connections to Iran and a penchant for deepening the sectarian divide that contributed to the rise of the Islamic State. Kabul’s own reliance on counterproductive allies is born of a similar necessity and may ultimately be just as destructive. The United States may decide to bolster Kabul further with more troops or resources, but Washington can only delay the inevitable day when Afghanistan must face its demons alone. Those demons were on full display in the fall of Kunduz. The verdict on a decade and a half of American war now rests largely in the hands of Washington’s imperfect allies and the choices they make. From Kabul to Baghdad, the results so far are not encouraging. Andrew Gawthorpe is a research fellow in the Harvard Kennedy School’s Belfer Center for Science and International Affairs. Follow him on Twitter @AndrewGawthorpe.